Hydrogen Fuel Cells for the 21st Century! QUESTION: Fuel from water! Is it fact or fiction? ANSWER: It is a Fact! Split water molecules into hydrogen and oxygen and run your car on water! 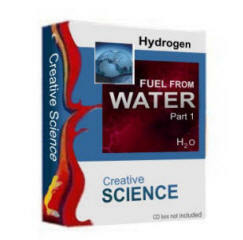 Water can not burn unless the molecules that make up water are split into hydrogen and oxygen gases. Learn how to build an electrolyzer fuel cell. We will teach you how to get fuel from simple tap water. You can then apply this knowledge to run any gasoline engine on water ( hydrogen ). Run your truck, car, lawnmower on water ( hydrogen on demand ). Any gasoline engine that uses pistons can be made to run on hydrogen! Turning water into a fuel is very high efficient and is actually very easy to do, and is safe if you follow our safety guidelines. You can also run hydrogen and oxygen in your car as an additive ( HHO ) to INCREASE your gas mileage. Or run your car totally on hydrogen alone using no gasoline at all!. The amount of gas that is output will depend on the proper construction of the cell itself and how large it is built. You can also use hydrogen to cook with or to heat your home with. We have a customer in England ( UK ) that is using hydrogen and oxygen to heat his entire home. His home has a water boiler radiator heating system. The boiler is connected to each room by pipes, which are connected to steam radiators that heat up each room. He made his own HHO brown gas type torches to heat the boiler. He said it works very well. For safety purposes always use hydrogen and oxygen flash back arrestors, the plans tell you the part numbers and the company where you can purchase these items. You can also make your own bubbler container to avoid gas flash back explosions. See these plans for more details. Converting a gasoline engine to run on hydrogen can be easy, but the draw back is that the gasoline engine has never been as high efficient as an electric motor motors are. Gasoline engines have to many parts that can wear out. A free energy electric motor can last a life time! I highly recommend using our Fuelless Engine and our SP500 Generator to produce electricity. And they can both last a life time when constructed properly. I remember a customer of ours that contacted us many years ago. He was very happy with our plans. As soon as he received our Fuel from Water plans he began to quickly put together a small hydrogen Fuel Cell. Using only an 8 oz glass of water, he had enough hydrogen to power his Bunsen burner for days and days! He said he was amazed that he could get that much energy from just one glass of water. The fuel cells are easy to build from supplies you can find in your home or at any hardware store in your area. These plans are loaded with information! Including color photos and illustrations, as well as a supply list, and where to buy the parts needed to successfully construct a working Fuel Cell. or by US postal air mail on computer CD. Our Fuel From Water plans part 2, are a great addition to our Fuel From Water plans part 1. They include a US Patent on how to run your car on hydrogen. If you want to run your car on hydrogen, you will need both set of plans. now, We have been trying to educate the world about free energy and to be self sufficient before it's to late! Many years ago I talked to a man down in Kentucky who had been running his car from water for years! He said it was simple to do and was very happy about it! Stanley Meyers of Ohio ( USA) has developed a highly efficient and safe way to run his car on water in which he holds a US Patent on this method. The old way was been to store the hydrogen and oxygen gases in sealed gas tanks. But now that is no longer necessary. There is a safe and better way to produce these simple gases that will run any gasoline engine. Simply store the water in a holding tank and then use a water pump to pump the water up into the carburetor area to a separation fuel cell box, giving the user power on demand! This is much safer and more high efficient! Hydrogen gas is clear and has no odor. And when the gases are burned together, the hydrogen and oxygen atoms fuse back together to form water molecules. Together they produce water vapor out of the end of the exhaust pipe which is safe to breath and does not pollute the air. See this powerful US Patent and added info for yourself! The exhaust water vapor could be collected and used again, directing it back into your water tank. and then the whole process starts all over again. Please add $9.95 for shipping US or Canada - or $14.95 shipping outside the USA. We will then mail you your order on computer CD and send you the download link.